Our canteen offers a range of meals and snacks for breakfast, break and lunch. The service is provided by Torfaen Catering and our menus comply with the Healthy Eating in Schools regulations. 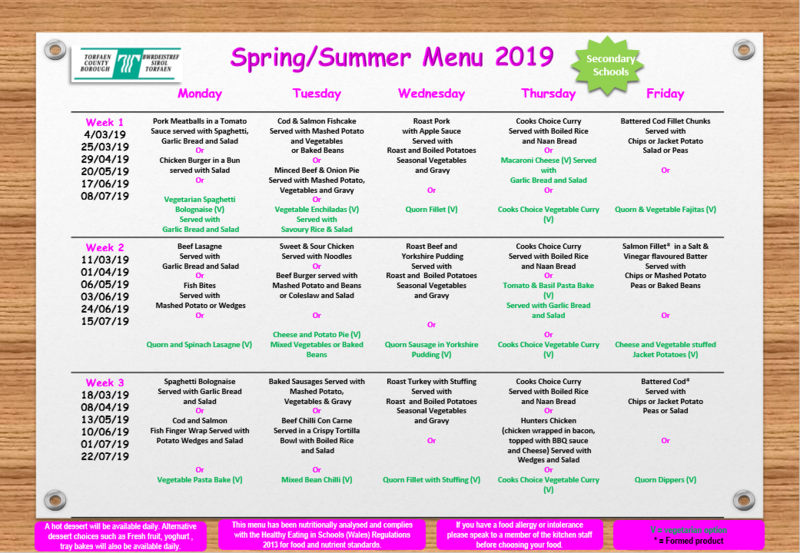 Menus are regularly updated - see the links below for current details. All accounts have a maximum daily spend limit of £5.00 set by the school. 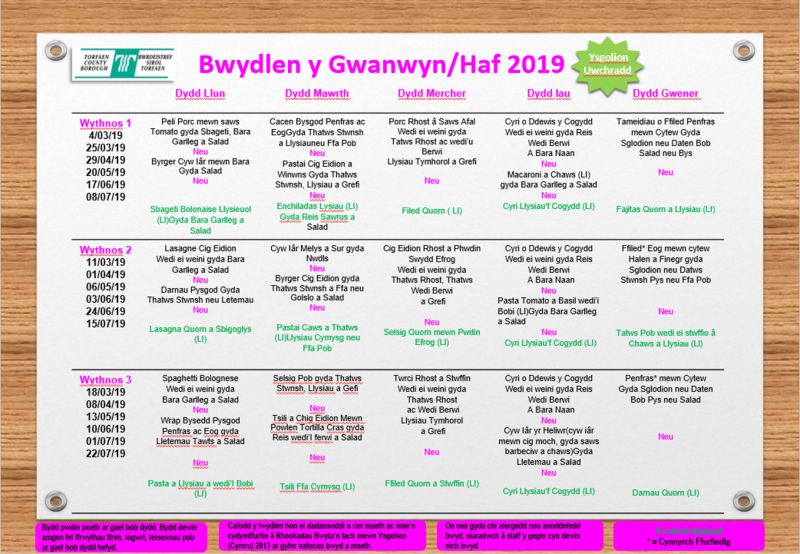 If you would like to change this or have any queries regarding the cashless catering system, please contact Torfaen Catering on 01633 647726 or email cashless.catering@torfaen.gov.uk. Please ensure that you have added sufficient credit to your child’s account for their meals as the system does not allow accounts to be overdrawn. The point of contact for any pupils having difficulty with the system is Miss Woodward in the school office. Pupils are identified at the till by a fingerprint scanning system. This is a quick and easy system which reduces time spent in queues and ensures their account is secure. To register for this system, we need to obtain parental permission – further information and the consent form can be downloaded using the link below. The system works the same for all children whether they pay or have a free school meal. The amount allocated for the free school meal will be automatically added onto the system each day, which is the equivalent value of a school meal, currently £2.35. Your child will be able to spend more than this if you add funds to their account. For more information on free school meals, visit www.torfaen.gov.uk and search for Free School Meals. Mae'r portal e daliadau yn fyw. The new online payments portal ‘E-Store’ is now live .